Christy Rush-Levine refers back to a previous reading response to help eighth grader Edith track changes in characters’ relationships in Room, the novel she is reading. Christy Rush-Levine challenges the notion that there is anything easy or natural about getting young teens to select and read books independently in classrooms. We’ve all had that student — the one who blurts out a misreading of a text, only to have classmates agree with the analysis. 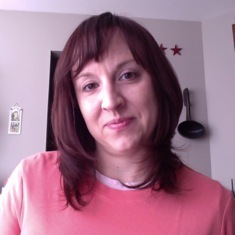 Christy Rush-Levine explains how she uses “first-, second-, and third-draft readings” to help her middle school students develop stronger comprehension skills. 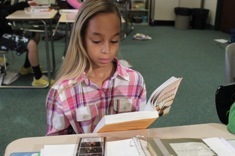 Aimee Buckner teaches a fourth grader a strategy for using a sticky note to keep track of characters when there are multiple narrators in a novel. 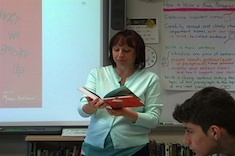 Christy Rush-Levine confers with eighth grader Julian about his strengths as an empathetic reader. 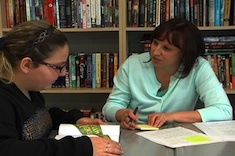 Christy Rush-Levine confers with eighth grader Tori about her reading response to Why We Broke Up. She encourages Tori to make connections between the characters in her current book and her previous reading by paying close attention to surprising action.